Patrick A. Heller has won the highest honors bestowed by the Professional Numismatists Guild and Michigan State Numismatic Society and was the American Numismatic Association 2012 Harry Forman Numismatic Dealer of the Year Award winner. 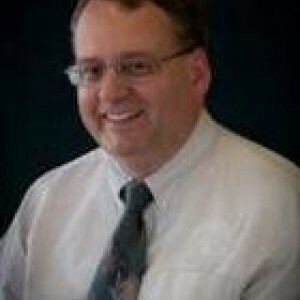 For Liberty Coin Service, Michigan’s largest coin dealership, he writes Liberty’s Outlook, a monthly newsletter on rare coins and precious metals (archived at http://www.libertycoinservice.com). Other precious metals and numismatic commentaries are regularly posted at Numismaster.com (http://www.numismaster.com), CoinWeek.com (http://www.coinweek.com), and CoinInfo.com (http://www.coininfo.com). His award-winning radio show “Things You ‘Know’ That Just Aren’t So, And Important News You Need To Know” can be heard at 8:45 AM Wednesday and Friday mornings on 1320-AM WILS in Lansing (Archived at http://1320wils.com/pages/patrick-a.-heller-commentary). Pat is also the Executive Producer of the forthcoming movie Alongside Night (view the trailer at http://www.youtube.com/watch?v=EshlKd-qW9s). The movie is set in the final weeks of the existence of the US government, which has brought itself to ruin through quantitative easing, inability to cut spending, curtailing civil rights and liberties, and outlawing the ownership of gold. Pat also calls himself the “unofficial artist” of the 2004 Michigan Statehood Quarter.